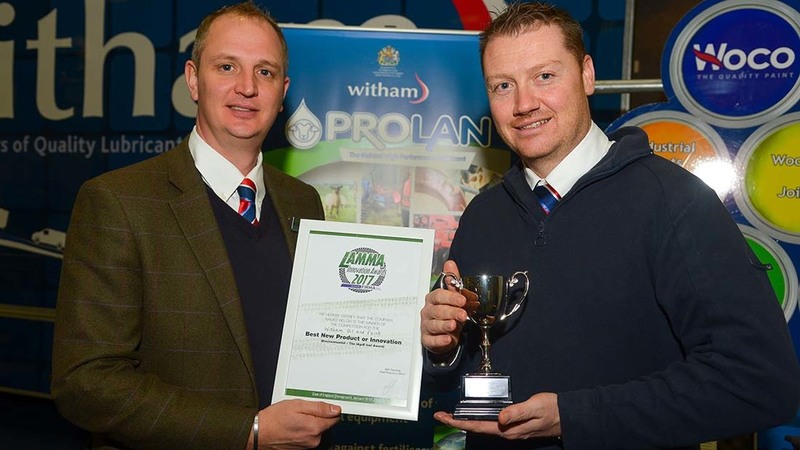 Witham Oil and Paint won the environmental award for its Prolan environmentally protective lubricant, which is available in heavyweight greases through to super-fine sprays. Suitable for use on metals, wood, rubber and electrical components, it uses lanolin derived from sheep’s wool, to provide long-lasting protection through hydrophobic properties to repel moisture and halt corrosion. Lanolin is also a natural non-toxic moisturiser and protector. 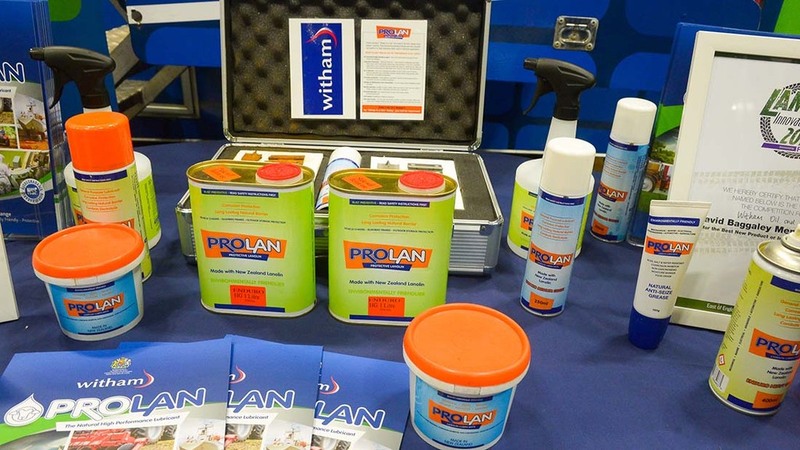 Prolan lubricant is suitable for use on metals, wood, rubber and electrical components. Nigel Bottom (left) and Matthew Forbes. 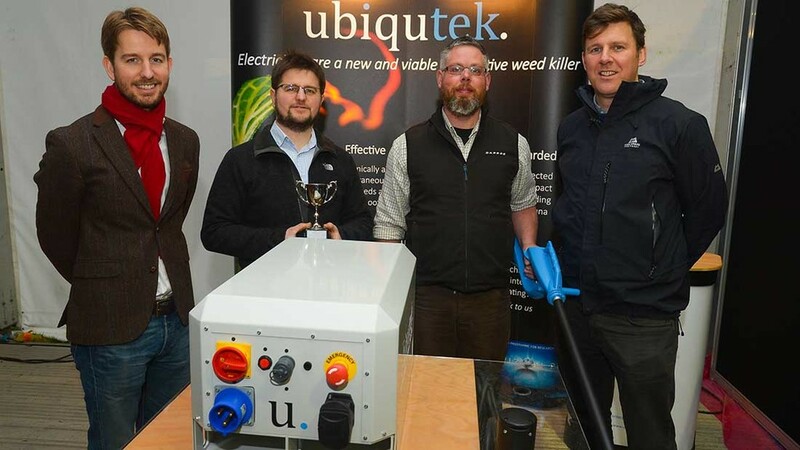 The Farm Machinery and Equipment Innovation Award in association with Farmers Guardian, was awarded to Ubiqutek’s Touch Pro, a professional hand weeder which uses electricity to kill weeds. The Touch Pro uses a 32 amp electrical feed, either from mains power or a generator, to power its probes. Touching the offending weed with the electrified probe causes near instant destruction of plant cells, with electrical current running from leaf to root to effect a systemic kill. 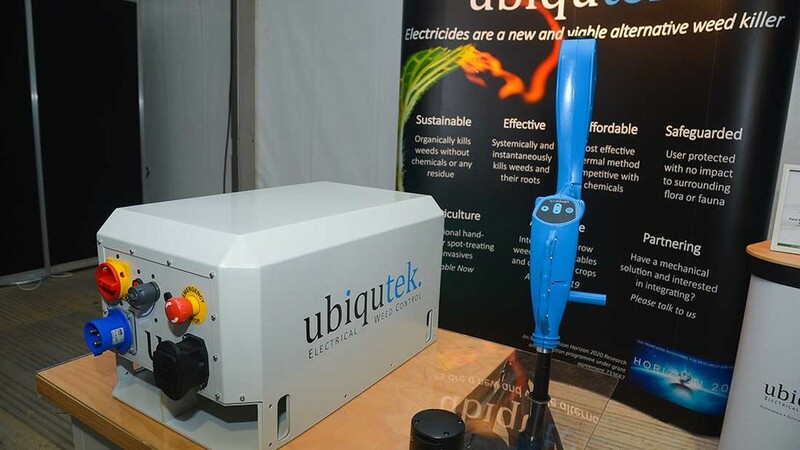 A first-time exhibitor at the Lamma show, Ubiqutek says it has been over-whelmed with the level of interest from growers and manufacturers. “There has been a lot on interest from organic crop producers, and also from those who are struggling to combat those weeds with a high resistance to chemicals,” he said. Ubiqutek's Touch Pro electric weeder. Left to right: Andrew Diprose, Trevor Robinson, Rob Diprose and James Holdgate. Pace Mechanical Handling won the crop production award for its Orion CBC complete bag control system. With electric motors gaining encoded measuring devices, the firm says the device offers fully automatic bag stitching with a level of repeatable accuracy which delivers 100 per cent productivity. The Orion CBC can handle a wide variety of paper and polypropylene sack materials to pack a broad range of products including potatoes, vegetables and animal feeds. Pace Mechanical Handling's Orion Complete Bag Control system. Pace managing director Nick Cesare. 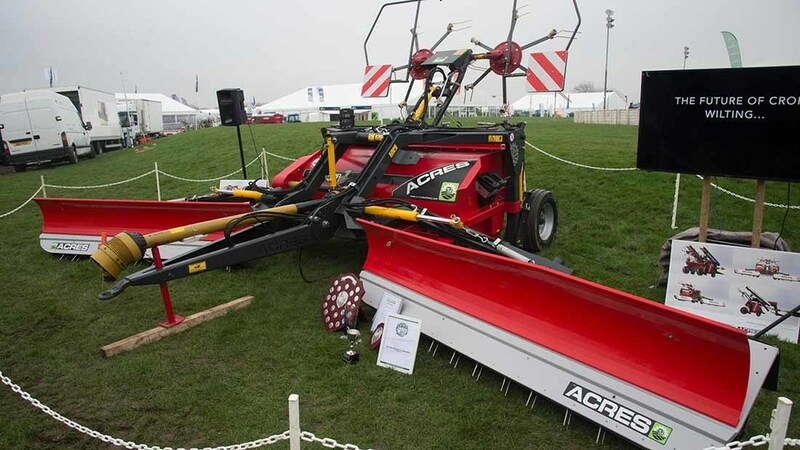 Irish manufacturer Acres Machinery, based at Roscommon, won the new technology award for its Supercrop1; a three-in-one crop wilting machine which can rake, condition and ted mown grass. The trailed Supercrop1 uses a conditioning rotor to lift and aerate a swath, before placing it back on the ground. It is fed from two rake attachments which extend the working width to 6.2m, enabling the machine to gather multiple rows or a crop that has been spread. Supplementary tedding is available, from a pair of hydraulically driven tedding rotors which can be lowered into the flow of crop leaving the machine. 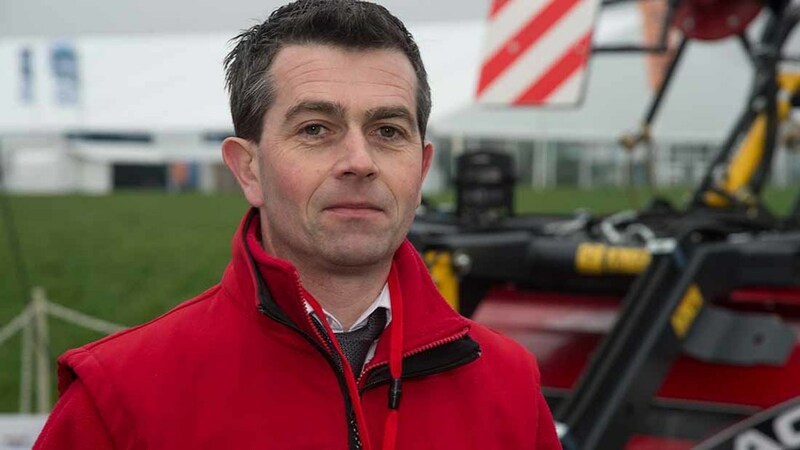 “We’re looking to expand the range, and to offer the raking elements as a front-mounted attachment to suit baling contractors,” he said. 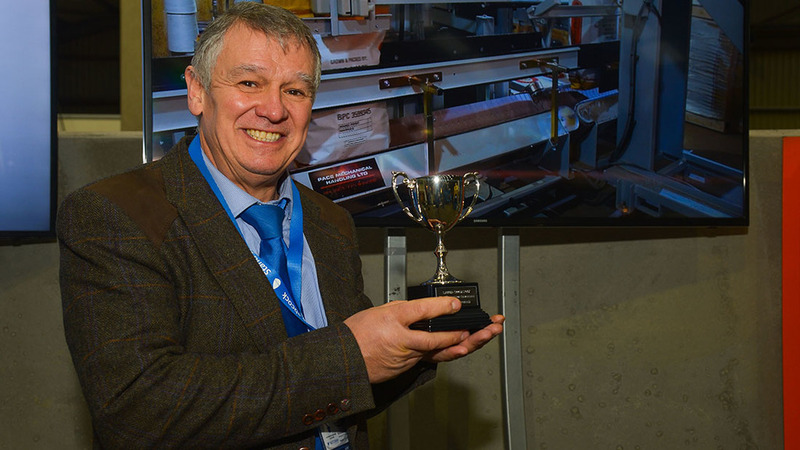 With innovation and safety in mind, Northern Engineering received the livestock equipment award for its Cow Tipper. 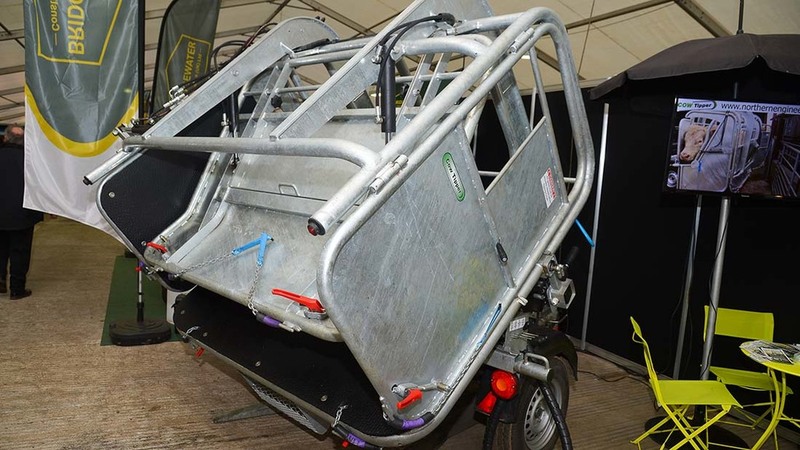 The fully hydraulic roll-over cattle-squeezing side crush, incorporates a side-opening panel for vets to perform caesarean operations, offers rubber matting and padding to improve animal comfort and carries a sluice box to contain manure and preventing it from flowing beneath the animal. Ratchet handles and chains are used to secure the animal’s legs during hoof trimming, and a mesh-style toolbox places the grinder within convenient reach of the operator. Northern Engineering's Cow Tipper roll-over crush. Environmental new product or innovation award: Manitou for its active eco mode for its varioshaft transmission, and to Wellvent for its touch control system. Farm Machinery and Equipment Innovation Award: Heath Engineering for its Super Spike bale spike. Crop production equipment award: Plot Feeds for a cylindrical grain drier, and to Tractair for its central tyre inflation system. Technological award: Amazone for its Argos twin system, and to Agricision for its lightbar guidance system. 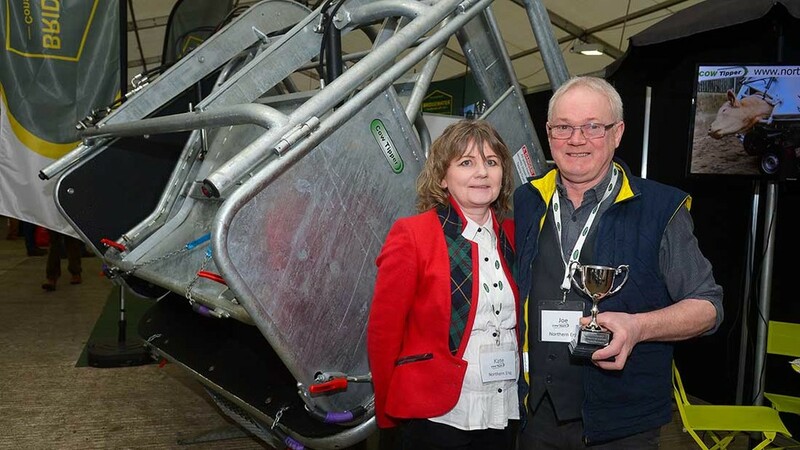 Livestock equipment award: Rappa Fencing for its Series 12 mobile yard, and to Shearwell Data for its automatic drench gun.